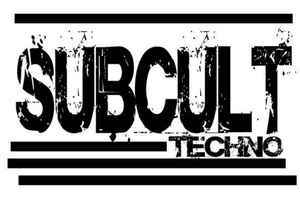 Sub Cult was set up in May 2007 by Aka Carl with the attentions to contribute towards the real techno scene. At first Sub Cult signed for the first time artists like Miche & Mirzinho, Fer BR, Luky RDU plus others. After establishing it’s self over the last year Sub Cult has received support and has seen its tracks being played by heroes such as Wehbba, DJ Preach, Carl Falk, and Eddie Haliwel the list goes on. Now in 2008 Sub Cult is pressing its first vinyl and has an army or quality artist releasing on both 12” and digital. Sub Cult's mission is to contribute to the promotion of Techno music. We aim to primarily promote Funky Techno, Tribal Techno, Melodic, Electro and Groovy Techno. Some of the artists that most inlfuence the "Sub Cult Sound" are Wehbba, Dave Clarke, F.A.T. Collective, D.A.V.E. the drummer, Mauro Picotto, DJ Misjah, Spiros Kaloumenos, Ignition Technician, Dj Preach, Alex Karakasis, Glenn Wilson, Carl Cox, Tom Hades. Sub Cult aims to the gain the best techno music from the finest up and coming techno producers around the globe.